Jituzu is a feature rich software and simple way to organize and manage your practice from anywhere. You can get started today! Learn more about the features we have available today and learn how we can help you keep your work easier. Our online, multi-user calendar can be used to schedule appointments in an individual or group environment. Set privilege levels for each calendar user so that people in your organization can share schedule and client information based on the level of sharing you want. Realtime updates with our Reminders App lets you know who has confirmed and who needs to reschedule. Visually see which appointment have been billed and which ones need to be. Interacting with your clients has never been more convenient or secure. Client Portal puts you in total control. 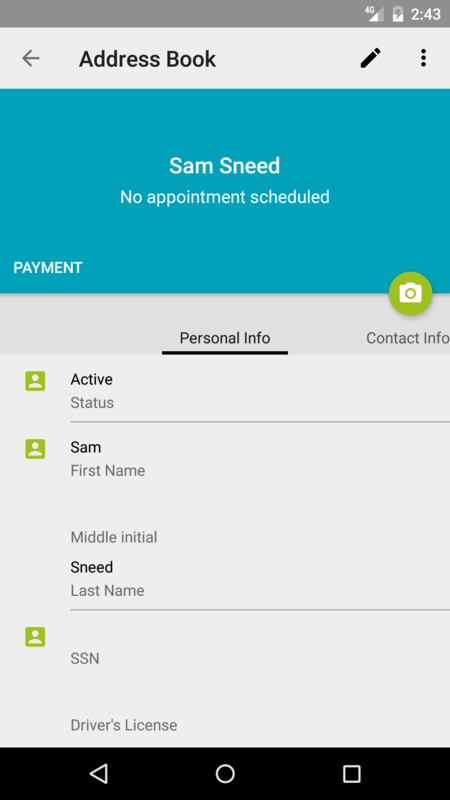 Control who is able to schedule online and what appointment options are available for each client. Clients can always see their upcoming or past appointments. Let new clients create their own private account, schedule an initial appointment, and receive a customized email from you with any required forms attached. When they first log in, they'll be prompted to complete your required profile information so you don't have to enter it later. Get an online presence in a matter of minutes. Your public website brings new patients to your practice and offers a professional appearance to new and existing patients. Both you and your patients log on to Jituzu using your own customized web site. Changing content is quick and simple allowing you change your site as often as you like, and you can link the site to any other online presence you might have. We make taking credit card payments from clients a breeze. We offer the ability for you to have your own credit card merchant account with one of our partners, enabling you to easily accept credit card payments from your clients. You can process credit card payments by using a USB swipe device that plugs in to your computer, typing the credit card number on the web or using the mobile app. Our PCI-compliant save-on-file feature can store payment information so that you can process future payments without entering card information again. 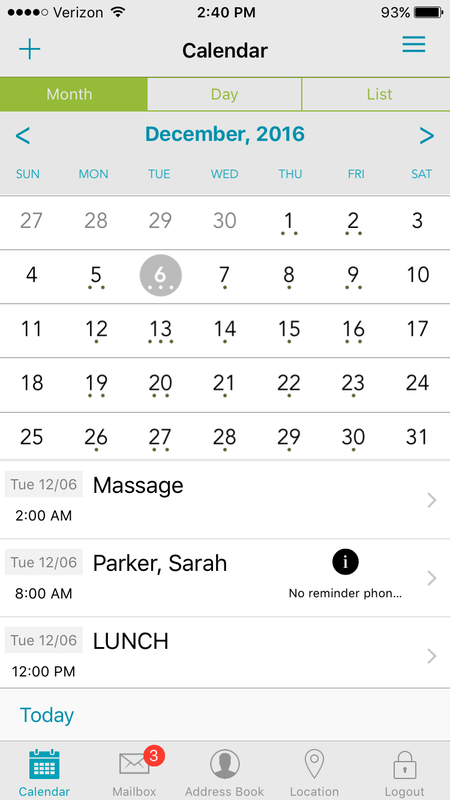 Appointment reminders work seamlessly with your calendar to remind & confirm appointments. You can communicate via text messages or automated voice reminders to confirm status. It updates your calendar live to indicate if they have confirmed or canceled an appointment. Never worry about the privacy or security aspects of sharing your personal cell phone number or email address in order to communicate with your clients. Healthcare practice management and billing services via My Clients Plus. This cloud-based software is ideal for individual and group practices with focus on behavioral, occupational, speech, physical and other healthcare specialties. Patient information entered in Jituzu automatically updates My Clients Plus and vice-versa. Also, Jituzu appointments can instantly be turned in to billable sesssions, eliminating duplicate data entry. Connect quicker & safer with our new mobile app. Whether you are the client or the provider we can help you stay in touch and keep your time organized, all from a secure HIPAA-compliant environment. We have taken the features you love about Jituzu and made them faster, easier and more beautiful than ever! Your clients have their own version of the same app you enjoy. We serve a wide range of professional market segments, and many of our customers use different words to describe the same three basic relationships. That's no problem, because when you indicate your business segment, all of our menus and screens use the terminology you use. Need more choices? Just let us know. to add a client portal to your own website. security requirements, because our components always use SSL encryption to access information stored in our servers. We also provide the BAA (Business Associate Agreement) required for Healthcare providers. You can use the components natively in an iframe tag, or use our free embedded Plug-In to get started. Our videoconferencing feature is designed to enable non-technical people to quickly and easily conference online. Simply indicating that an appointment is a video appointment is all the setup you need. At the time of the appointment, your client can log into their portal account and click the button to join the conference. When you click a similar button, your HIPAA-compliant conference will begin. This feature is a free part of our client portal service, and works entirely within your web browser or our mobile apps (i.e. no additional software required). You could also conference from the web, while your client uses a mobile device. As of mid-2016, at least 32 states have passed Telemedicine "Parity Laws" that require private insurers to cover remote sessions similar to in-person sessions. We encourage you to do a web search of telemedicine parity laws and see if your State requires parity. Telemedicine may a great fit to expand your practice and provide a higher level of service to your clients.